A special floral patterned ecard to thank your dear friend. Friendship starts when two people trust and share a common space between each other. A Best friend cannot only enjoy with you, but would stand with you in all the endurance of life. 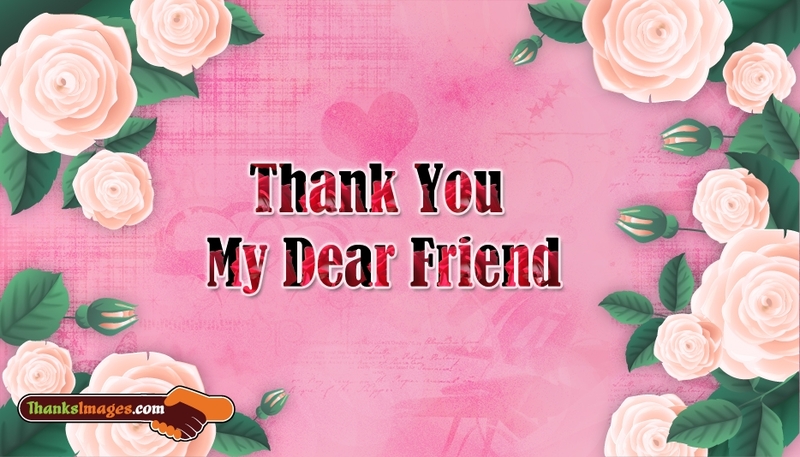 Thank your close buddy by sharing this "Thank You My Dear Friend" image at free of cost.